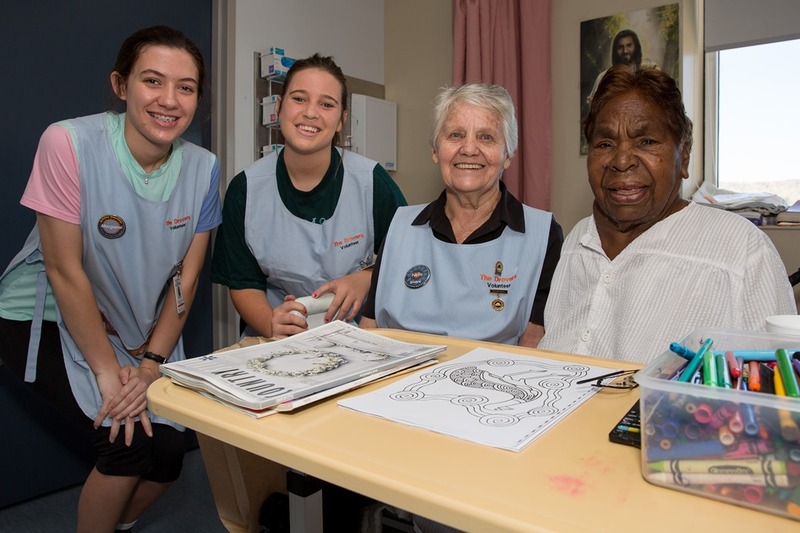 The Drovers Volunteer Service has been improving patients’ stay at the Alice Springs Hospital since 2007, providing more than 40,000 volunteer hours since inception. The Drovers provide a highly valued service and are now considered an integral part of the hospital’s method of care. This care comes to patients via a tea and coffee trolley and a book/magazine cart that does the rounds of the wards twice daily. The Drovers also provide toiletries, reading glasses, puzzles, pencils, cards or anything that can help the patients pass the time or cater for their needs. The Drovers offer a driving service – four drivers use their own cars to assist hospital patients with shopping or pick up patients’ families from the airport. Of the 45 active Drovers, 12 have been volunteering since 2007. It is estimated that almost 4,000 volunteer hours were provided to help patients last year alone. Since inception the Drovers have raised more than $470,000 for much-needed equipment for Alice Springs Hospital, with many of the items coming from a wish list put together by hospital staff. Morgane Frost, Chelsea Hamilton and Chairperson Nella Willis from the Drovers volunteer service with patient Malpiya Emily Medling at the Alice Springs Hospital. Courtesy of the Centralian Advocate.